Covert operations expert Nash Brennon has spent the last eight years trying to forget Annie Gallagher, his former field partner and the only woman he ever loved. Annie betrayed him when he needed her most, then vanished without a trace. Now suddenly she’s back in the game – this time as a suspected traitor and threat to national security. Annie’s son has been kidnapped by political terrorists. The price for his life? Assassinate a UN ambassador. When Nash and his group find her, the smoldering passion between Annie and the man she swore she’d never contact again blazes out of control. But can Nash trust her? The stakes couldn?t be higher: Their enemy’s endgame is personal, and one false move could cost them their lives. The tension, romance, and mysteries in this book make it a real page turner. The plot and characters are brilliant. There is several twists in the plot but they will please you and make you want more. I love this book, and the ending makes me smile. Without trying to spoil any of the plot, I will tell you that you will feel sorry for Nash and Annie by the end. I fell in love with both their characters and wanted only happiness for them. This is a book that makes you feel involved and like a direct witness to the events. It is breathtaking. I can’t wait to read the next to books in the series: Dangerous Desires (July 2010) and Desperate Deeds (August 2010). 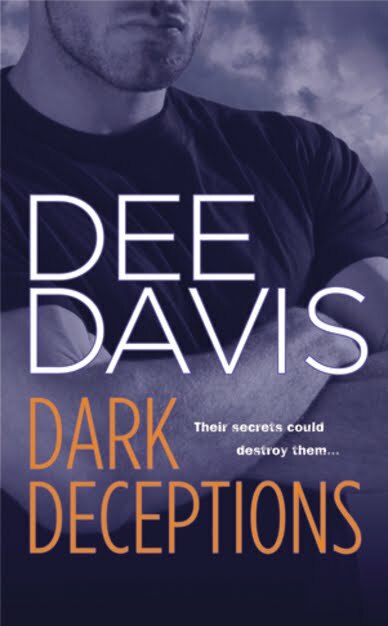 Buy It: You can buy Dark Deceptions by Dee Davis for $6.99. Disclaimer: I received this book in exchange for an honest review. No monetary compensation was involved. I'm an email subscriber under a different email address. I love books that combine mystery, adventure, and romance. "Dark Deceptions" sounds like a super read – one that I would certainly enjoy. I signed up to follow your blog via GFC. Sounds like a good one to add to my TBR list. I'd love to read this, thanks for the chance! I'd love to read this book! Please enter me.
. Subscribe to my blog by email. Follow me on Twitter and tweet the giveaway. Follow Dee Davis on Twitter. Looks like a thrilling read…thanks. I'm an avid mystery reader and this one sounds really good! Thanks for the review, I'm excited to read this book!